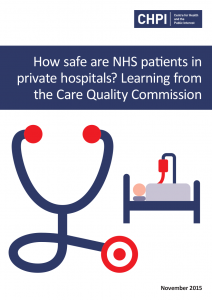 This report uses findings from the Care Quality Commission’s new inspection regime for private hospitals to show that there continue to be risks to patient safety associated with the distinctive nature of private hospitals in England, compared with the NHS. 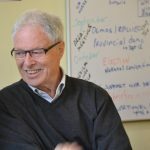 In addition, the lack of systematic collection and reporting of patient safety data raises questions about the adequacy of the CQC’s new approach to regulating private hospitals. * This report has been amended following a number of errors in Tables 1 and 3 of the report which were brought to our attention after initial publication.